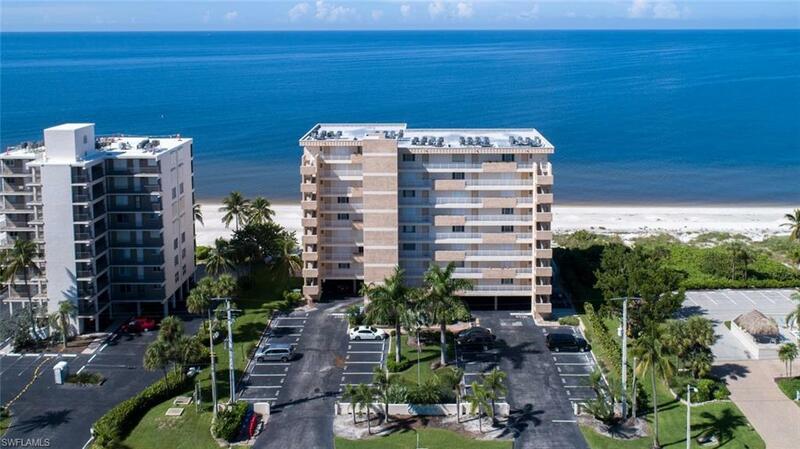 PENTHOUSE/9TH FLOOR, END UNIT, RENOVATED & MOVE-IN-READY IN THE EGRET ON BONITA BEACH This South-side end unit with coastal contemporary finishes & dcor will not last. From the new quartz counters throughout, to the renovated kitchen with recessed ceiling & upgraded white cabinetry, to the whole-unit tile floors & new warm neutral paint throughout, this TURNKEY unit is move-in-ready & awaiting its lucky futureowner. 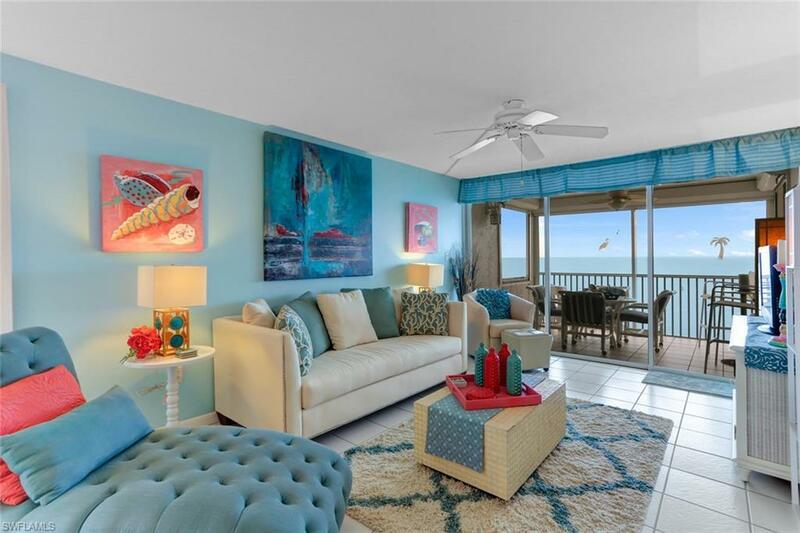 Boasts the finest view on Hickory Island, with PANORAMIC WRAPAROUND WATER VIEWS including beach views down the coast all the way to Naples/Marco Island & rare Bay views from the East. 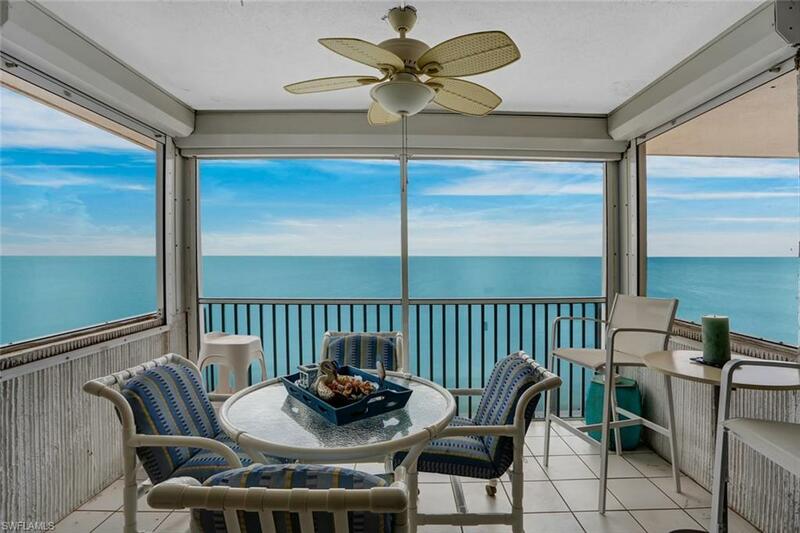 Enjoy the sounds of rolling waves & warm ocean breeze from your direct beachfront balcony, with unobstructed top floor views & screens/automatic shutters for your comfort & convenience. Includes one of the only rare coveredparking spaces in the building. The Egret boasts lushly landscaped tropical grounds with a heated beachfront pool, community room with full kitchen, BBQ area & more. 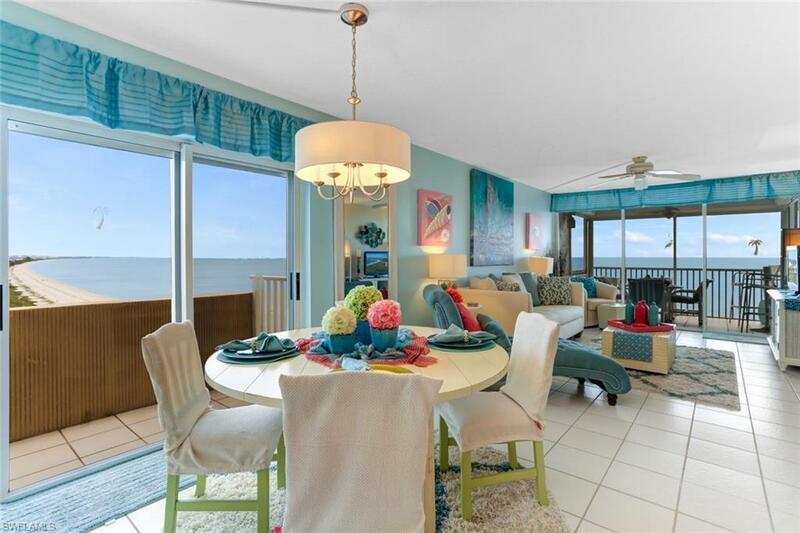 Perfect location steps to waterfront restaurants & fine shopping/dining at the Promenade, Mercato & Waterside Shops. Enjoy paradise with this perfect vacation home or as a rental income opportunity.